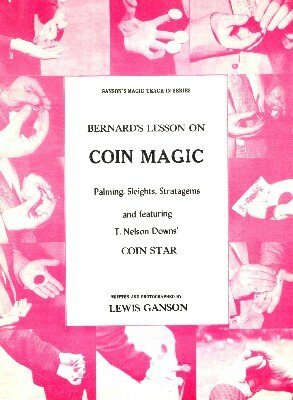 Bobby Bernard teaches palming, sleights, stratagems, and T. Nelson Downs' Coin Star. Photographed and written by Lewis Ganson. This was part of the famous Ganson Teach-In series originally published by Supreme Magic Inc. Rights are now owned by Martin Breese whom we thank for the kind permission to reproduce this booklet. 1st edition 1978 by Supreme; original 35 pages; PDF 43 pages.